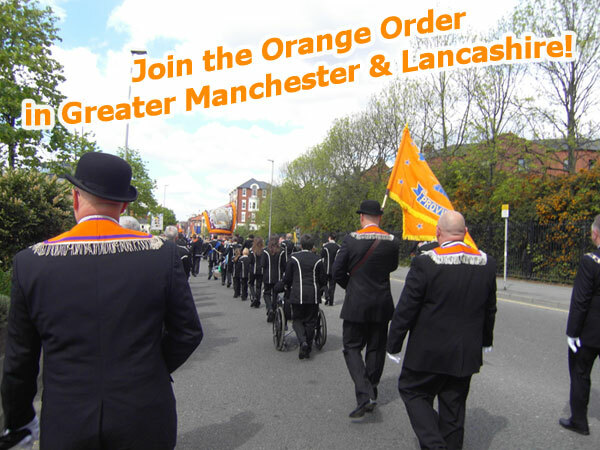 Join The Orange Order in Manchester! If you are interested in joining the Orange Order in Greater Manchester, Cheshire and Lancashire or would like further information about our lodge or any within the area, please fill in your details below and fill in the enquiry form below. A Manchester Orange lodge representative will be in touch within the next 28 days. Do you have old photographs of Orange parades in Manchester or Lancashire? Or have you found old Orange Order regalia in your home? If you have, please get in touch as we would like to build up a collection of historical Orange Order Material for public benefit. Alternatively you can e-mail us here.